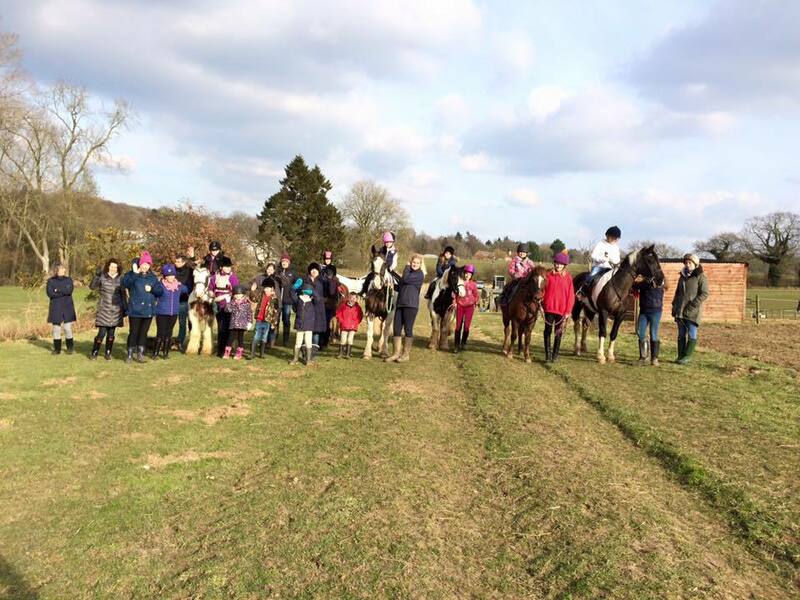 We are so happy that we have started up Weston Riding Club. We have already got a great team of children and parents coming every Saturday and its proving very entertaining and educational. 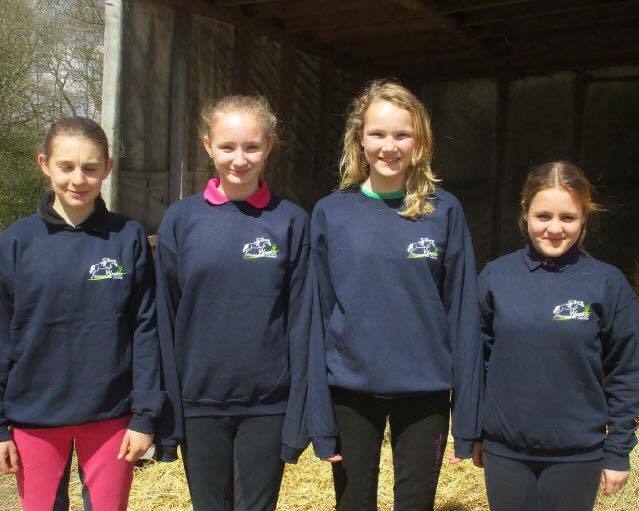 We welcome children from 6 years and upwards, parents are very welcome to stay and take part, which seems to be the norm! We have cakes and refreshments on offer during the afternoon which makes it into a thoroughly enjoyable and social experience. Children work towards their ABRS certificates and have a lesson. 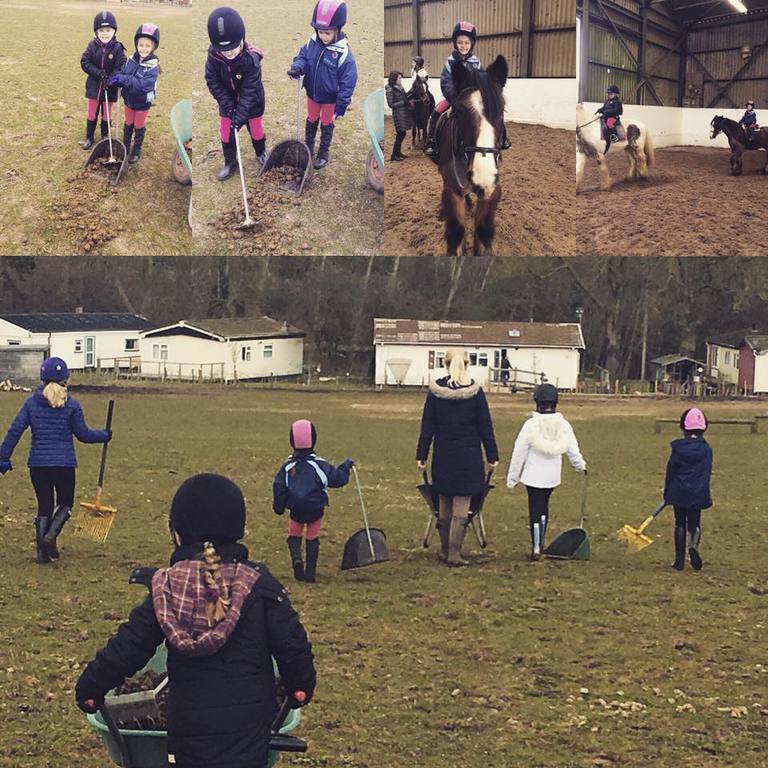 We learn about all aspects of horse management and care. 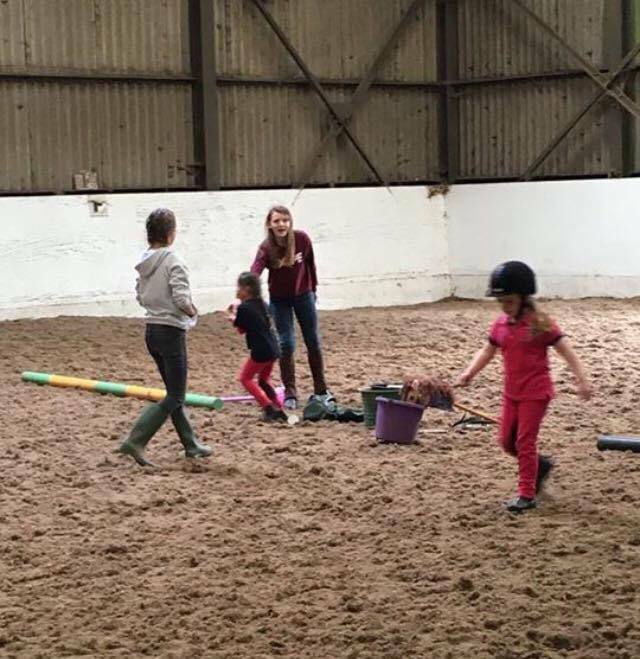 Riding lessons are split into the older childrens group and younger children, and we try and work on each individuals needs. Going into 2019 we have 5 groups riding on a saturday afternoon so we are operating on a waiting list basis at the moment. 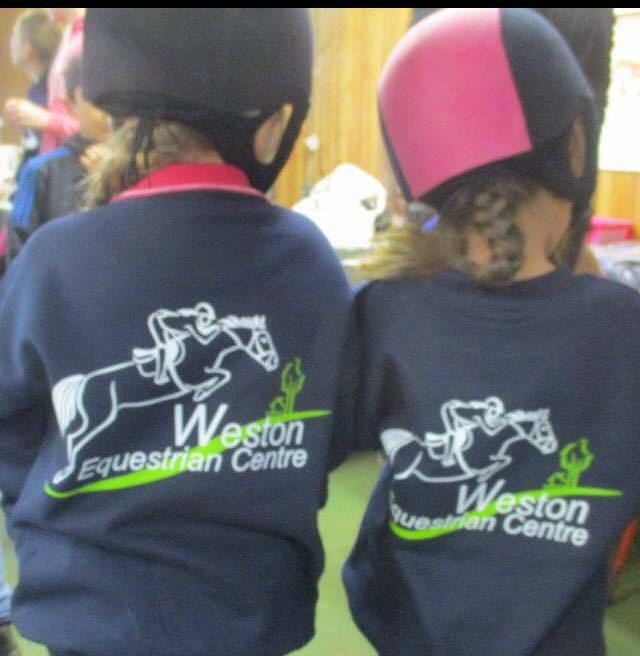 We have Weston EC merchandise which can be purchased so the children really feel like they are members of a group.